It is essential for us to provide our pupils with an environment that allows them to achieve their full potential. With your involvement and support, you will be certain of ensuring that pupils, past, present and future will appreciate and take pride in the ongoing success of the school. 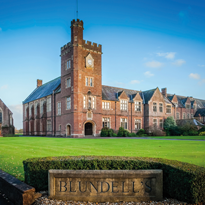 They too will develop loyalty and passion for the school, thus building on its long history; therefore perpetuating the original intentions of its founder, Peter Blundell. The school is not able to achieve all of its goals from fee income alone. Whilst some planned developments can be financed from the annual surplus, the Development Office provides essential support in funding enhanced facilities and in the provision of scholarships and bursaries. The school is strongly committed to widening access by offering assistance with fees and the Development Office plays an essential role in making this possible.